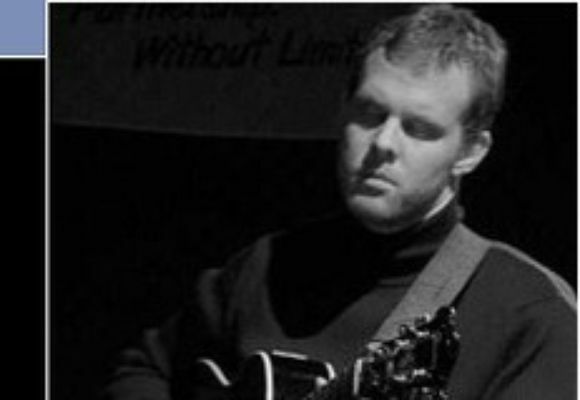 After graduating from NIU with a bachelors' degree in jazz guitar performance, Neal moved to Chicago and has been freelancing there ever since. Neal has performed or recorded with Lin Halliday, Howard Levy, Grazyna Augusick, Leslie Gore, Ed Thigpen, and most notably, singer/pianist Patricia Barber. Neal has toured Europe, Canada, and the U.S. with Patricia and he is featured on her Blue Note Records releases VERSE (2002), LIVE: A FORTNIGHT IN FRANCE (2004), and MYTHOLOGIES (2006). Neal also appears on recent recordings by Chicago-based musicians/groups including Nick Bisesi, Jo Ann Daugherty, BMR4, Matt Geraghty, John Goldman, and Lisa Lauren. In addition to modern jazz, Neal's ever-expanding musical curiosity has led him to play in other groups which play styles only marginally related to jazz. Neal plays R&B/soul with singer Typhanie Monique, classic rock covers with Cast Iron Skillet, and 20th century classical music with HardArt Groop. As of late, Neal has been very inspired by hip-hop and soul music and elements of these genres can be found in small part in the compositions on Neal's first CD entitled HERE AND NOW, THERE AND BEFORE. To order this CD, please select the "Buy Now" link below the cover to the left. Brand-new projects include a second duo CD with vocalist Typhanie Monique titled IN THIS ROOM and a second instumental CD due out in summer 2007.